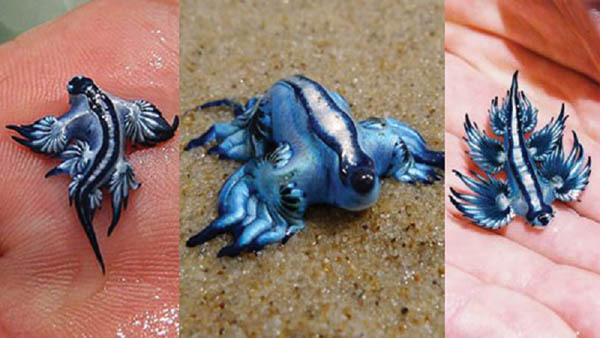 Sea Slug is a common name which is applied to some marine invertebrates that more or less resemble terrestrial slugs. There are many amazing-looking creatures in this group, such as the sea bunny and leaf sheep we mentioned before. 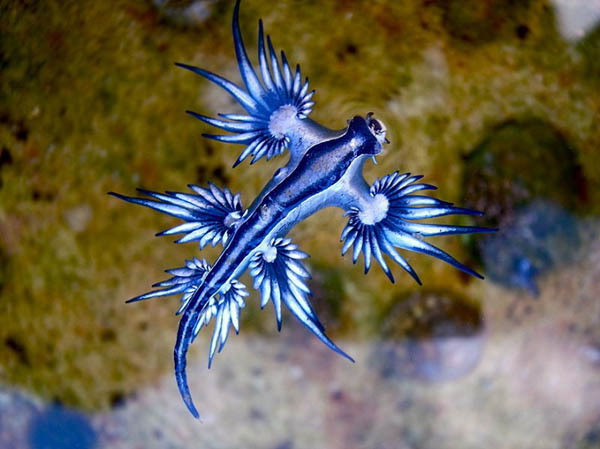 The blue dragon or glaucus atlanticus, in this post, one of the weirdest and most wonderful little-known animals in the world. 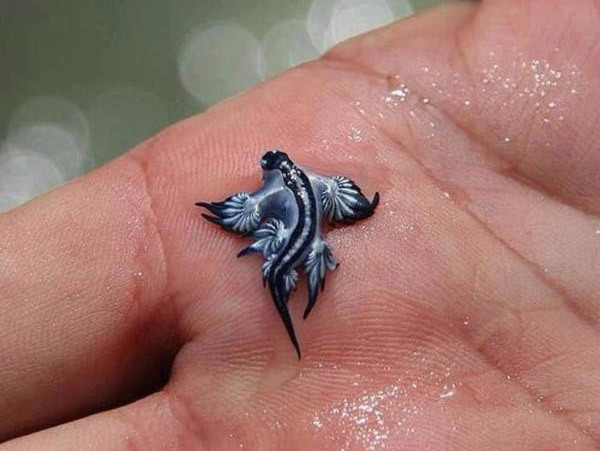 You might connect it with the image of dragon in myth, however, it is much smaller than its fictional brethren of lore (only about an inch or two in length). 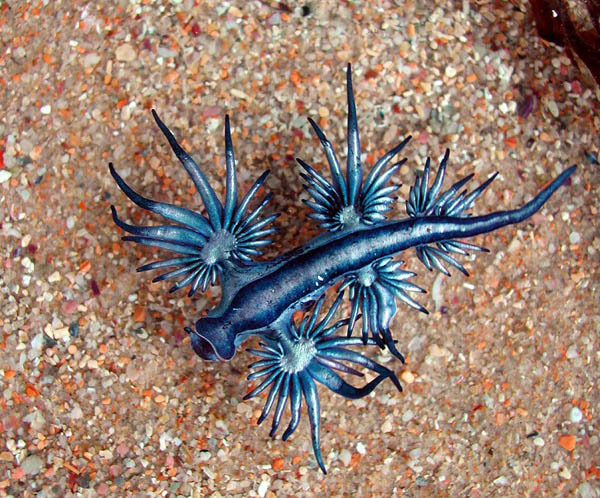 They spend their lives upside down, attached to the surface of the water and floating along at the mercy of the winds and ocean currents. 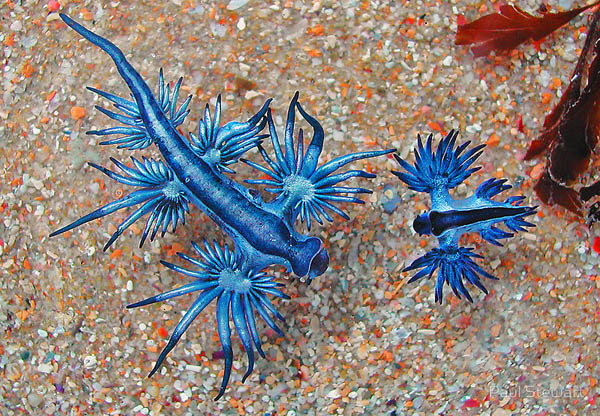 Blue in color, they blend in with the water in order to camouflage themselves within their environment. 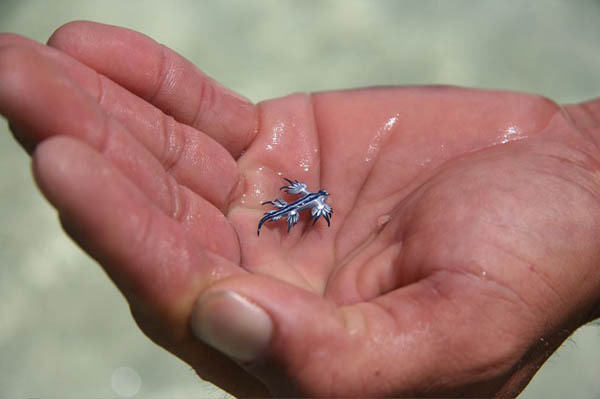 They store the stings cells collected from these cnidarians within their own tissues, and use them as a defence on anything that bothers them. 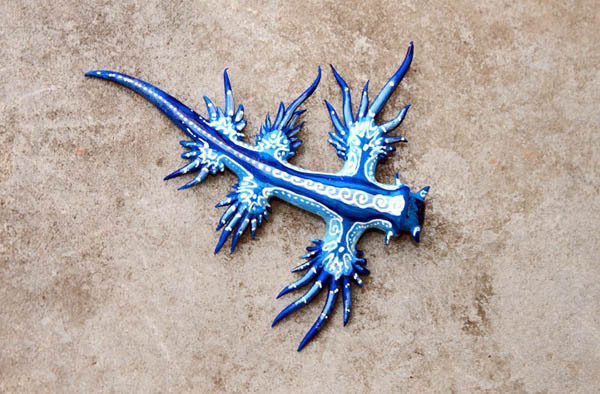 Handling a little blue dragon could result in a painful, and possibly dangerous, sting.